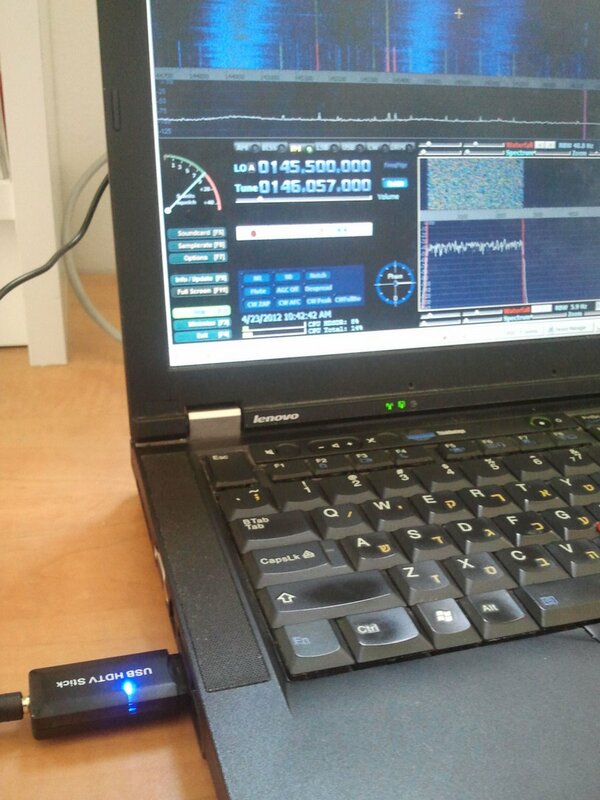 Nice write up about the RTL-SDR, I finally ordered one from china and am waiting to get it in a few weeks. What preamp did you use for your test ? . As far as I can tell from reading the info on the RTL-SDR web pages is that there is no preamp in front of the E4000 tuner chip. I used an ancient SSB Electronics preamplifier. What is important is not the amplification (at least for local signals, which are strong), but the bandpass filter that the preamp includes. I later did another experiment, using a magnetic loop antenna for 145MHz, which also acts like a bandpass filter (it has a very narrow bandwidth), and it was also quieter than a dipole. Enjoy your dongle when it arrives! so what did you find to be the full useful receive range? I didn’t test, but the tuner chip is supposed to go down to 64MHz. 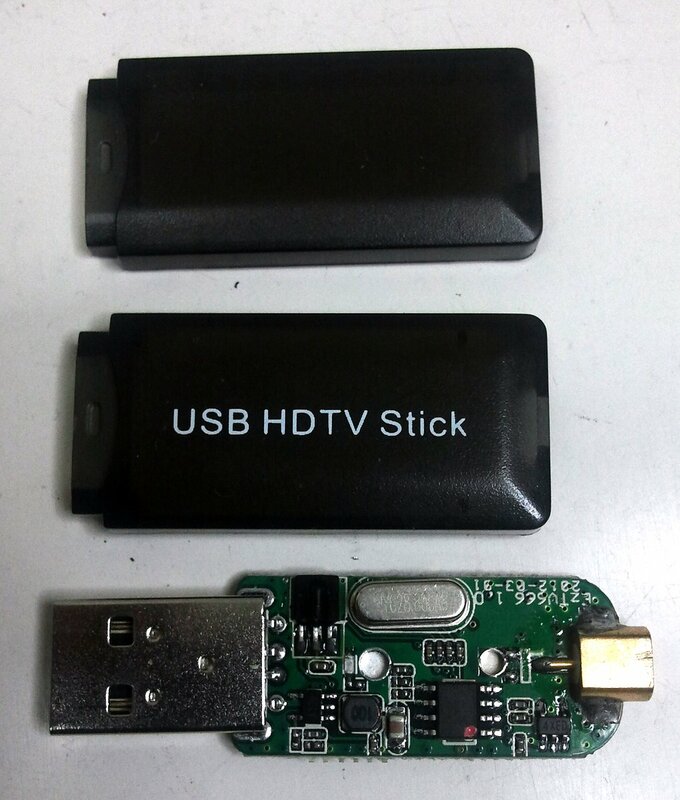 I also bought a DVBT dongle similar to yours and I have two questions. Did you solve the LO locking (I2C communication error), I am having the same problem. 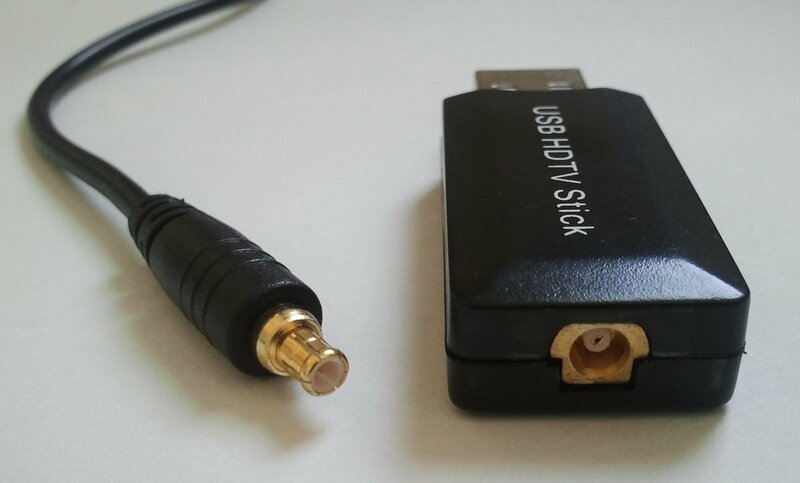 second I understand that you can’t have an installation that uses the dongle as a SDR receiver and still retain the capability to use it as a DVBT receiver, I understand that you have to switch the device driver. Isn’t there a walk-around to solve this? No, I don’t have a solution to the locking problems. I just stop the receiver (F2), unplug the dongle, plug it back in, and hit “create”. It’s annoying, but I have not found a workaround. Hopefully later versions of the DLLs will be better. As to the SDR vs. DVB-T drivers, I think that you are right, but I am not 100% sure. I used separate comuters 🙂 Ohad Miller asked the same question on Facebook, and I suggested that he tries to associate each driver with a separate USB socket. I think he reported some kind of limited success; you can try that out too. 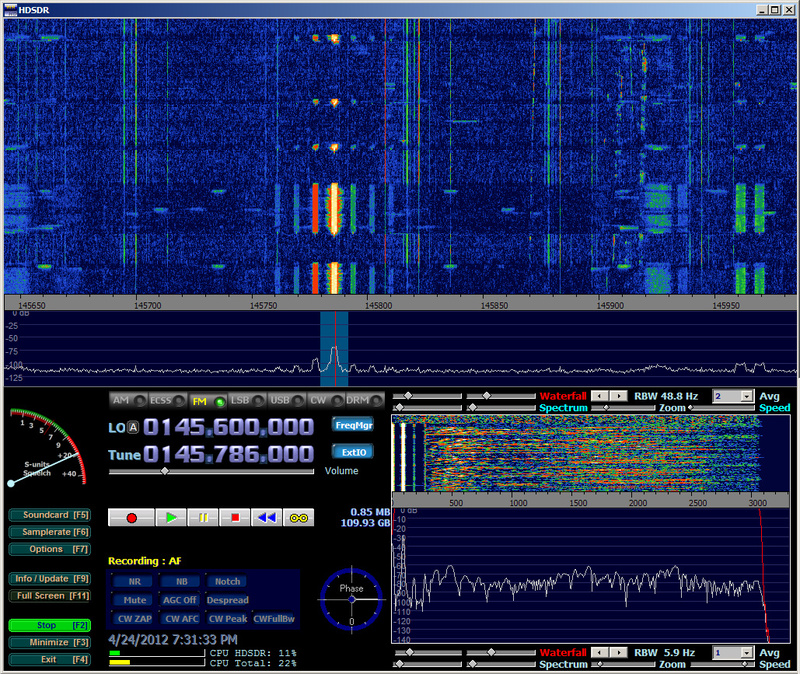 I have an rtl-sdr and its been a great purchase. Best $20 value ever! With an up-converter I am also using it on HF. 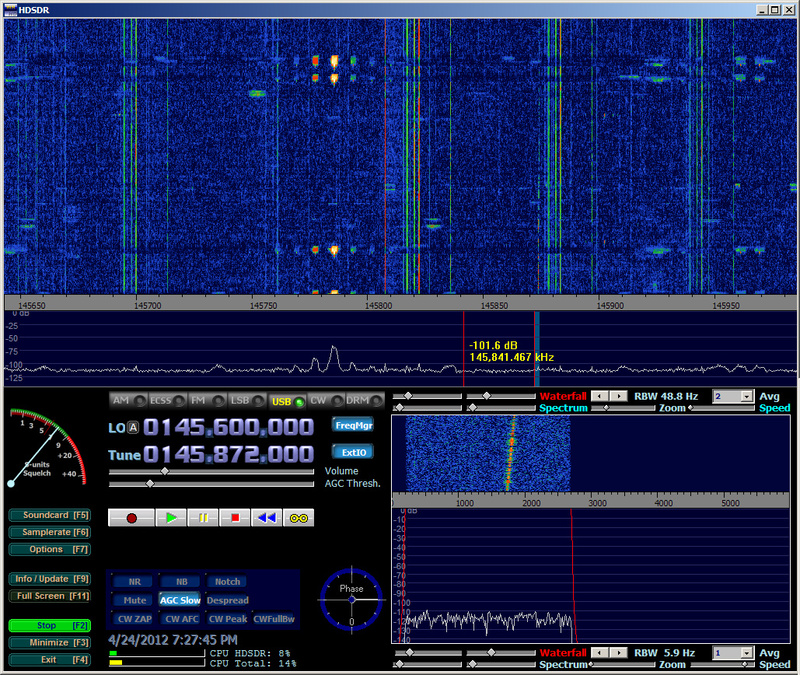 It works really well for listening to the ham bands and shortwave with Linrad. Getting the ability to “see” a whole band at a time seems to me as if it would be great for hams. I don’t use Windows and I live in the US where we don’t have DVB-T but that (what you describe above) is what I’ve heard some people do quite successfully. 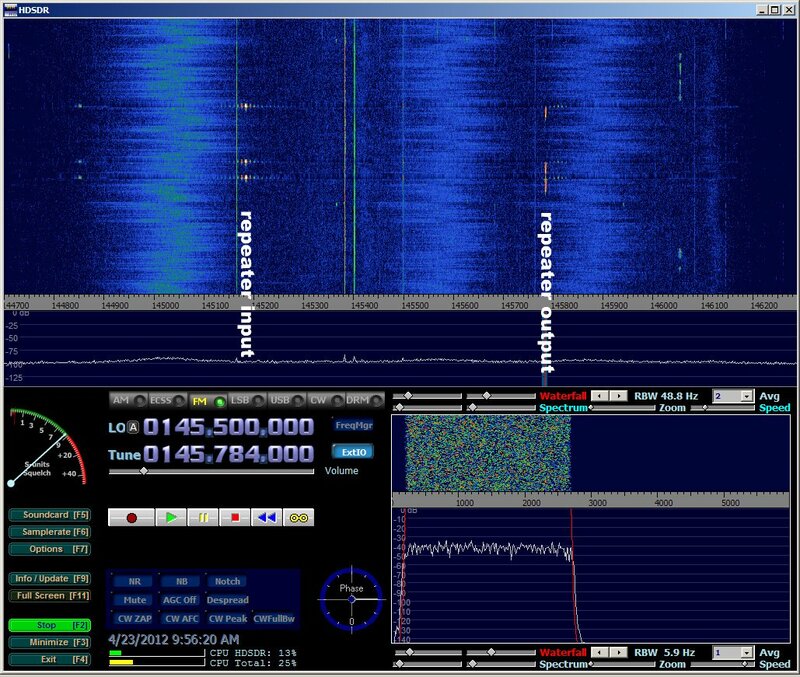 They use one USB bus or plug for DVB and the other for SDR. There is probably a way to do that on all OS’s. Right now I am trying to figure out a way to use my dongle with a Raspberry Pi to set up a remote SDR a bit away from all my RF noise-making devices.